As you all know, breakfast might as well be one of my love languages! I could eat it morning, noon and night, no matter what it is! However, once in a blue moon, eggs get boring... 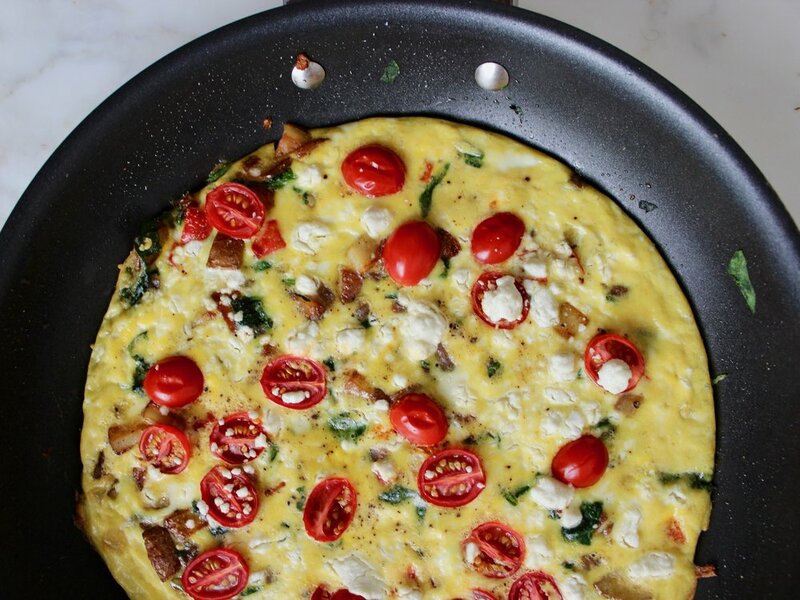 Goat cheese is one of my favorite ways to spice up eggs! I always add a lot of veggies into my eggs but it usually looks nasty but it tastes awesome! I was feeling fancy this morning and made this on a whim, decided I might as well take a picture of it because it looked delicious and then I tasted it and decided I HAD to share this recipe with you! 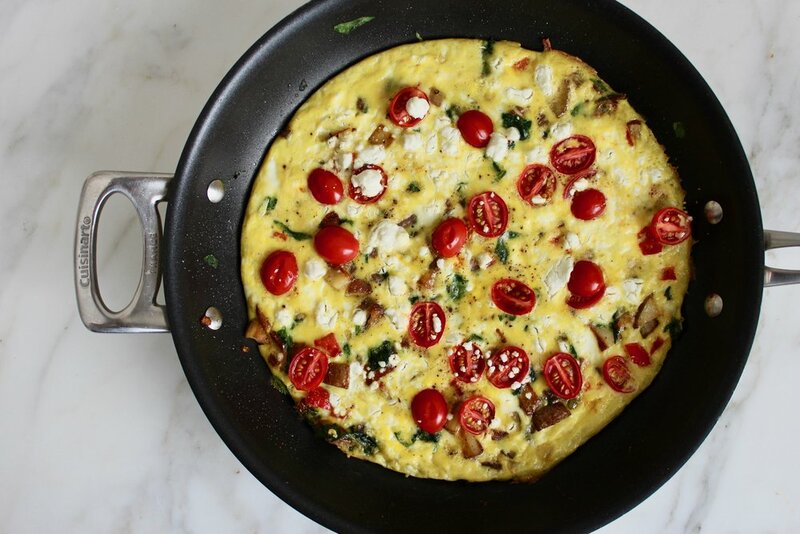 This recipe is actually a portion for 2, it seems like a lot but it isn't thick, it is very thin and just makes enough for a big breakfast for two :) You can also easily make this paleo by leaving out the goat cheese, or if you are like me and can tolerate dairy most of the time (and not during a flare) goat cheese is a great option! Once pan is heated, add potatoes and cover, stirring occasionally so they do not burn. Add peppers and onions to the mostly cooked potatoes, set tomatoes aside. Once peppers and onions are softened, add spinach and wilt, season with salt and pepper. Let sit until edges harden, add halved tomatoes and goat cheese, then transfer to the oven. Cook in oven about 10-15 minutes or until center settles.